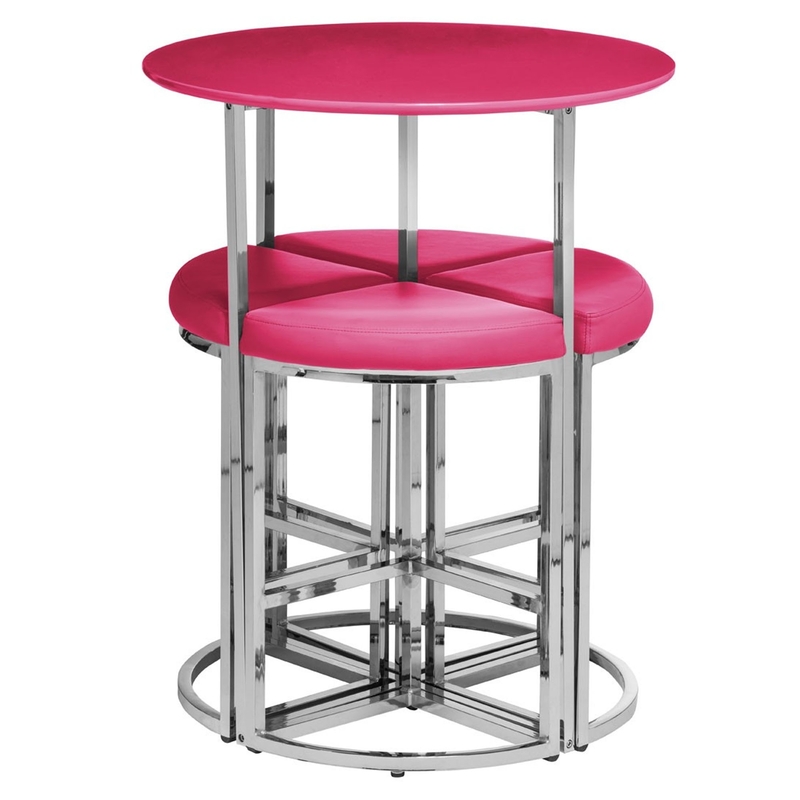 Make your home pop by introducing this fantastic table and stool set. It'd look fantastic in any home because of its unique, contemporary style. This beautiful table and stool set also includes a magnificent wedge stool design, meaning all four stools perfectly fit into each other under the circular table making it very practical for space whilst looking brilliant.